When Travis d’Arnaud went down with his latest injury in what’s been a career with many of them, I thought this was it. Honestly, I thought now was the time Kevin Plawecki would step in and take the job, but that has obviously not been the case. The argument can be made that Rene Rivera has been more impressive than Plawecki since d’Arnaud went down. In fact, in 117 at-bats, Plawecki is hitting .205 with 1 homer and 10 RBI. Rivera, on the other hand, has had only 49 at-bats, hitting .143 with 2 homers and 7 RBI. Neither has been major-league-starting caliber, but Rivera’s superior defense has made him the better option, especially since the Mets have a pitching rotation that’s very vulnerable to the stolen base. As for d’Arnaud, when he’s back (should be less than a week barring any setbacks), he’ll return to a .196 batting average with no homers and one RBI in 46 at-bats. That’s just not good enough. If he does not kick it into gear, the calls for a guy like Jonathan LuCroy will get louder, and the Mets may have to make a move to upgrade at the catcher position. This could be your last chance Travis — don’t waste it. What do you think the future holds for the Mets at catcher? Tell us in the comments section below. Who's the long-term answer at catcher for the Mets? 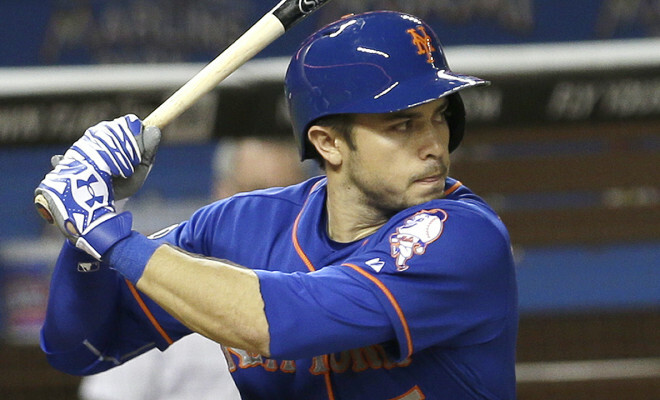 ← Previous Story Will David Wright Walk Away with Dignity? Funny how at the end of last year and was seen as a strength with the Mets. What a difference a year makes!